NKBA Southern California is the local chapter that brings together local Southern California Kitchen & Bath distributors, retailers, remodelers, manufacturers, fabricators, installers, designers, and other professionals – and provides a resource for local consumers to research, educate and connect with Southern California Kitchen and Bath professionals. Click here to visit the NKBA Southern California website. You’re invited to join us for an ultra-exclusive NKBA Southern California event! This group is limited to only 24 guests – so make sure you act quickly to secure your ticket! Once registered, you’ll receive a special code that will allow you to register for various LCDQ events offered on May 8th. We’re taking care of transportation. Enjoy a Private Luncheon prepared by a celebrity, award-winning Chef, and we will send you home with a swag bag that will blow away all others! Our bus will leave at 8am from Pacific Sales Irvine parking lot. You’ll board the bus alongside our incredible Sponsors, a breakfast box in hand, and be greeted with mimosas once you take a seat! Mr. Steam will keep us entertained on the ride up with trivia and prizes galore! Once we arrive at our destination, you attend the events you signed up for – taking a short break for our incredible lunch, of course! The final keynote speaker wraps up at 4pm, so our bus will depart by 4:45. *Attendee is responsible for scheduling their events online through LCDQ with the code provided AFTER registering to attend with NKBA SOCAL. Events are time sensitive and available on a first come first serve basis. Ready for another great FIRST? California Closets has completely remodeled their Huntington Beach facility – and we are the FIRST trade organization to experience it! We are so excited, because the showroom was beautiful before – what are they going to top it with now?? 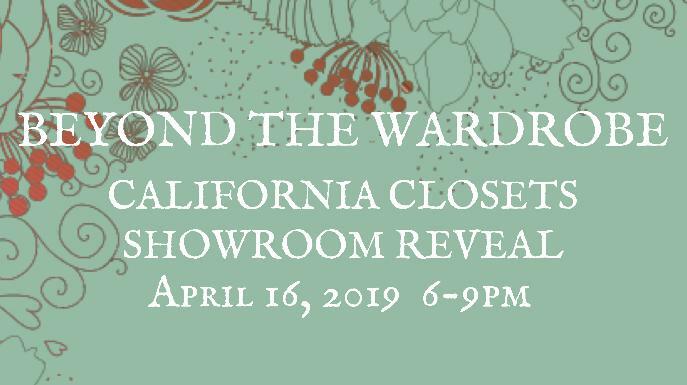 So, we are going ‘Beyond the Wardrobe’, because California Closets does just that – Manufacturing and customizing storage solutions that will enhance every area of the home. Think beyond the wardrobe. When you step into this magical new showroom – you will be wowed! The eye candy will be paired with excellent food and drinks, music, entertainment and plant tours. You will leave inspired – and looking for an opportunity to collaborate with this new Industry Partner member! We’re meeting in the middle, Torrance to be exact! Pacific Sales Torrance and CA Home + Design are our hosts! 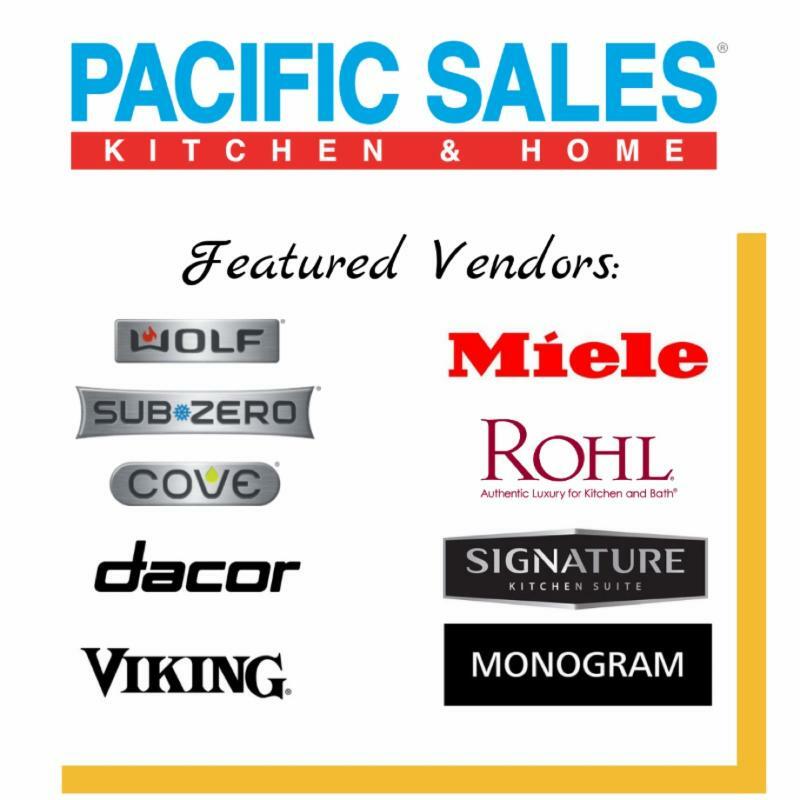 Enjoy tasty bites from our favorite appliance manufacturers, open bar and tasty treats prepared by a wonderful array of featured plumbing and appliance vendors (see below for list) and a delicious dinner crafted by California Fresh Catering! “Above & Beyond” is our panel presentation feature, moderated by Lindsey Shook, Editorial Director of CA Home+Design. This panel will include experts from the Luxury Kitchen & Bath Design segment – and explore new construction vs. remodeling as well as challenges, tools and tricks of the trade! 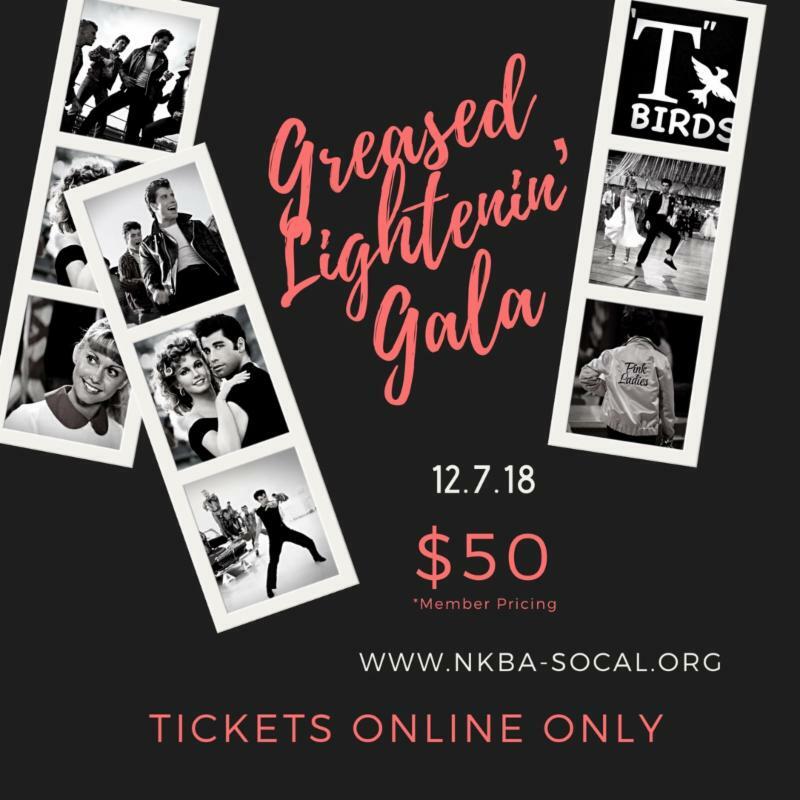 It’s holiday party time, and we’re revving things up with Greased Lightnin’! Join us for a 50’s themed party (participation only recommended, not required!) at the fabulous museum of classic cars! We’ll eat, drink and enjoy the end of 2018 and all it had to offer our membership! The live band and checkered dance floor will keep you moving all night long! Catering will be a fun gourmet spin on the retro diner, but let’s not forget about the open bar! Tickets are ONLINE ONLY, be sure to register soon as tickets are limited and will run out as it gets closer! 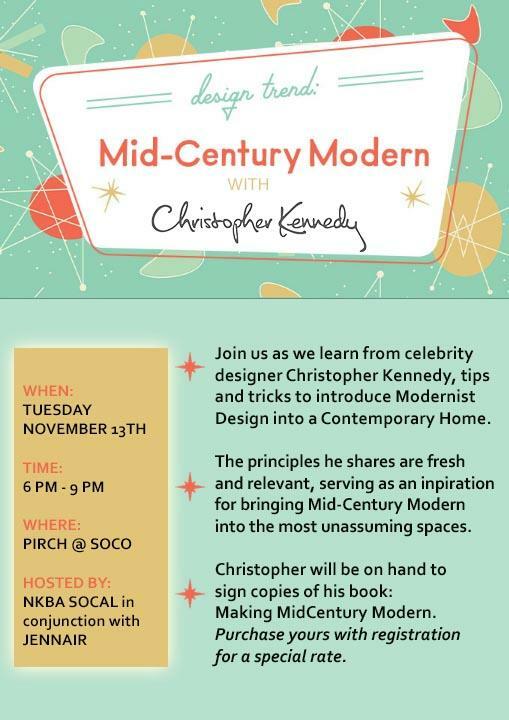 Join us as we learn from celebrity designer Christopher Kennedy, tips and tricks to introduce Modernist Design into a Contemporary Home. The principles he shares are fresh and relevant, serving as an inspiration for bringing Mid-Century Modern into the most unassuming spaces. Purchase yours with registration for a discounted rate. Join the NKBA Southern California Chapter, and our Host, Expressions Home Gallery, for a full “Day of Design.” We’ll kick the day off with Subzero, Wolf & Cove for a delicious brunch and CEU with Tracey Burge. Next we’ll be featuring an array of talented, dynamic Speakers that will help inform, motivate, re-energize and kick-start your business! A complimentary food & drink concessions bar will be available to you throughout the CEU Presentations. If that’s not enough, you’ll have an opportunity to update those retro head-shots with an Industry Pro, Nick Shetterly, in a gorgeous Kohler Suite. Just make your appointment online when you register! We are booking appointments every 30 minutes from 10:00AM-5:00PM. The fun doesn’t end there! At 6:00PM the showroom will be filled with music, laughter and all your favorite appliance vendors preparing gourmet treats, just for you – and of course, we’ll have some EXTREME raffle prizes! Don’t miss out on our Day of Design – come immerse yourself in everything Kitchen & Bath! Attend each presentation to receive EXTRA Raffle Tickets! 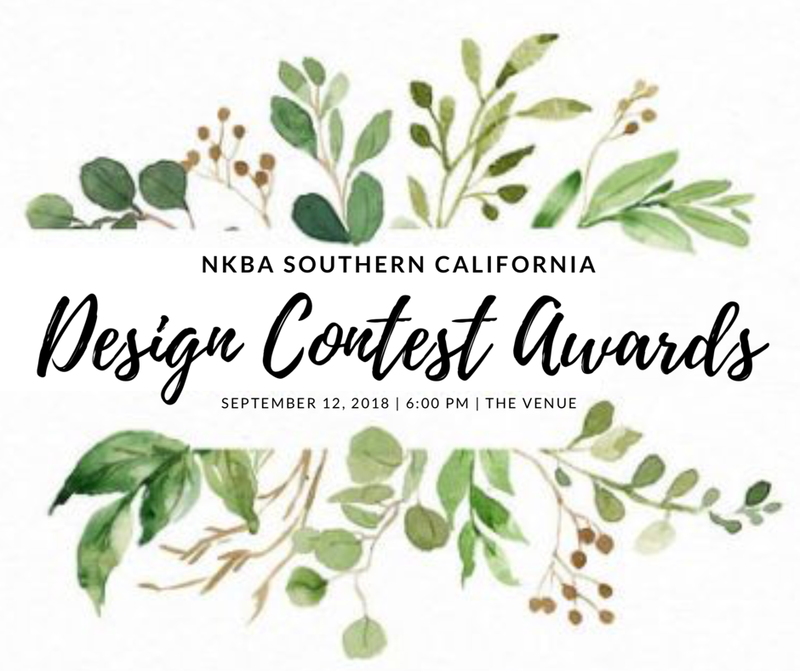 The time has come to reveal the winners of the 2018 NKBA Southern California Design Contest. Please join us for an elegant evening celebrating our chapters’ esteemed designers who submitted their best projects into the competition. Many talented designers entered – and a winner will be selected from each category. Come explore the ‘Sponsor Showcase’ and mingle, while enjoying live music, a premium open bar and delicious appetizers. Our Title Sponsor will welcome the audience, a plated dinner will be served, and our ceremony will commence. The evening isn’t over after the awards ceremony – the band will be playing and everyone will be dancing! It will be a night to remember, and everyone will feel like a winner! 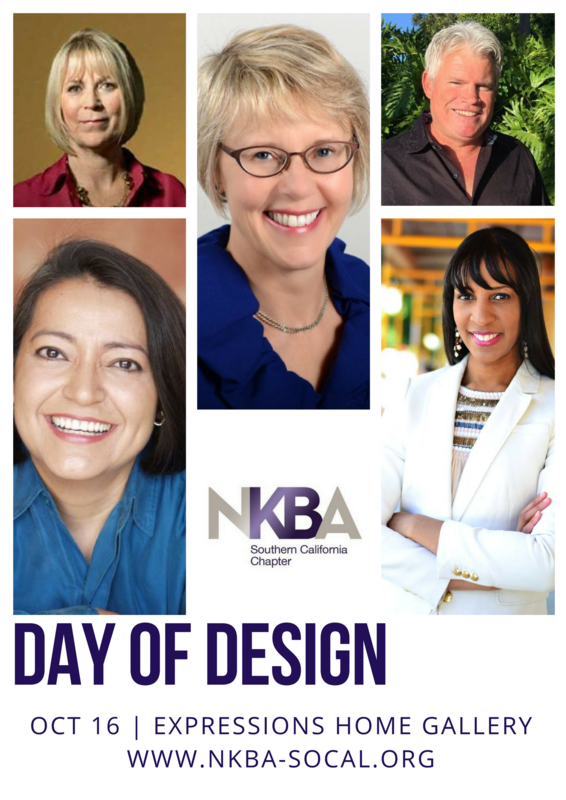 Join NKBA So Cal, because the FUN continues, during our month long Membership Drive! 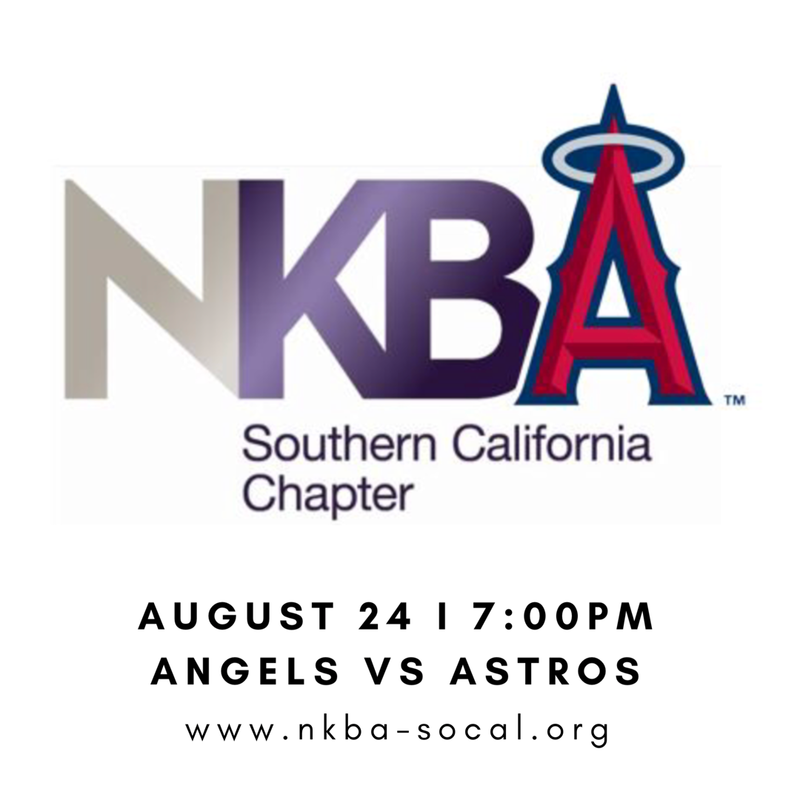 We’re headed to Angel Stadium, Left Field Pavilion, to cheer on the Angels as they play against the 2017 World Series Champion, Houston Astros! Your ticket includes vouchers for an Angel’s hat and a Hot Dog and Soda. You can’t’ beat that deal! Make sure not to miss out on the fun, invite your family and friends too! The more the merrier! *guests are responsible for their transportation to and from the ballpark. 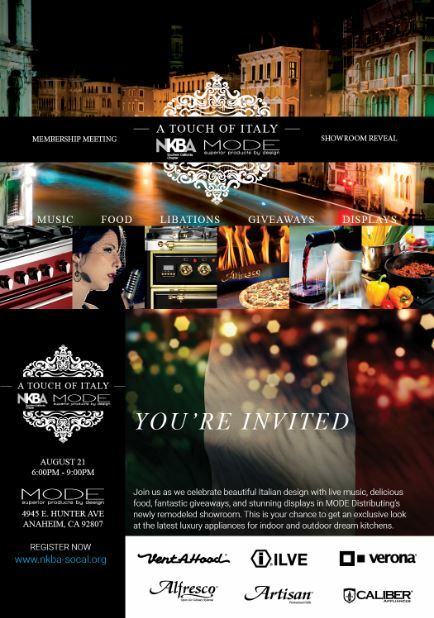 Join us as we celebrate beautiful Italian design with live music, delicious food, fantastic giveaways, and stunning displays in the MODE Distributing’s newly remodeled showroom. 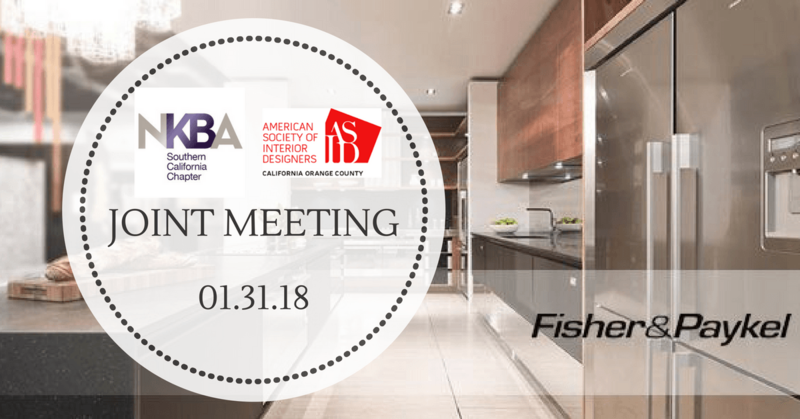 This is your chance to get an exclusive look at the latest luxury appliances for indoor and outdoor dream kitchens and get to know the NKBA So Cal Chapter! It’s going to be a great party, so Members come have fun and bring your friends! This event is open to EVERYONE! There are LOTS of raffle prizes to win, and many ways to earn raffle tickets! Guests who JOIN that night will receive 10 tickets for becoming a member! Bring a non-member guest, and receive 5 tickets, you’ll get 5 more if they join that night! MODE Distributing is the premier home appliance distributor in the western United States. With factory trained Territory Managers, elegant showrooms that offer hands-on learning opportunities, and an outstanding inside sales team. Mode provides the highest level of service and luxury appliances for your building, remodeling, or replacement project. July 17th, you won’t want to miss a glorious summer evening with the NKBA Southern California Chapter and event host, Friedman’s Home Experience, at the brand new event venue, Alleylujah, in Costa Mesa. In addition to a beautiful new venue, we are proud to provide you with a panel discussion on Design & Style, led by the Senior Director of Industrial Design for Delta Faucet Company (Delta and Brizo). You won’t want to miss this opportunity to hear from Judd Lord about style, design and where his team finds their inspiration. The evenings event also includes complimentary valet (required), catered apps and dinner, open bar, and a live jazz trio, for your enjoyment. Let’s not forget about the exciting raffle prizes – every paid guest receives a ticket, and additional tickets will be available for purchase. Make sure to secure your attendance, this event has a limited capacity. Registration page will be updated once the event sells out. Register early to secure your spot! We’re ready to mix and mingle – with our host, DACOR! DACOR wants to upgrade not just cabinets and countertops, but expectations. To throw out the old ideas of what a kitchen should be and reimagine its place in the home and purpose in our lives. A space built for entertaining. A place that’s as fun as it is functional, as spontaneous as itis stylish. An open invitation to come together and cook up not just great dishes, but engaging conversation, spontaneous laughter and new stories. We’re invited to experience this new vision – and experience our own engaging conversation, laughter and new stories through mingling, delicious dining, drinks, displays and a brand new CEU! So join us, for a fabulous ‘Date Night’ getting to know the new, ‘Modern’ DACOR. Today’s affluent consumers values and ideals are shifting and we set out to define them. After an in depth study with Architectural Digestand Conde Nast, we have cracked the code of consumer’s behaviors and trends. This course will help you navigate those waters and begin the process to meet their needs. Kris has been training over the past 6 years, managing field teams throughout the US and Canada and now is one of the National Trainers for Dacor. As a part of his role, he has taken over the design community initiatives to drive brand awareness and build advocates for Dacor across the nation. Since our founding more than 50 years ago, Dacor has tirelessly followed the principles of Techcraft to create new ways of making the time wespend with friends and family more enjoyable. Combining advanced technology with the artistry of precision craftsmanship, these principles have led us to continuously push the boundaries of what’s possible in the kitchen. Thinking beyond the functional purpose of the products we make, to the emotional role they play in your life. We see the kitchen asa space for togetherness, and the act of cooking and sharing meals as away to make deeper connections, create new memories and share laughs. And it’s through these principles that we continue to imagine,innovate and lead the way forward, reinventing the idea of what an appliance should be, and what a kitchen can be, to improve performance, inspire creativity and entice collaboration. We will be transported to Los Angeles, in style, to a private suite at the highly acclaimed restaruant, Redbird. Redbird is a modern American, downtown, Los Angeles restuarant in the cathedral-turned event venue Vibiana. Redbird’s chef’s will showcase cooking demonstrations on the Jenn-Air products installed on-site. 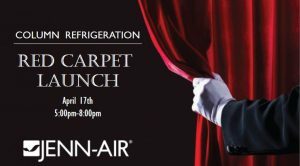 Enjoy innovative, chef prepared dishes, paired with creative cocktails and a snazzy historic setting, as our host Jenn-Air unveils their newest collection: Column Refrigerators and Freezers. If WINE is your passion, let this distinctive under-counter wine cellar safeguard and showcase your collection. Independent temperature zones and temperature presets ensure that different wines are kept within their proper temperature reange. Six soft-close, beachwood racks glide out smoothly and store up to 46 bottles. Don’t miss your chance to win this beauty! Jenn-Air makes luxury kitchen appliances, known for their sophisticated design, innovative technology and exceptional perforamance. Jenn-Air first became known for creating the legendary downdraft cooktop in 1961 as well as for bringing cooking into the home. We now make appliances for the entire kitchen, from powerful professional style ranges to stylish built-in refrigerators. Our appliances offer you unprecedented performace as you cook and entertain. Out built-in refrigerators have been ranked #1 for the past four years running. Whether you currently own Jenn-Air appliances or are considering purchasing them, you’ll receive an exceptional level of care. We’re here to assist you with any questions you may have about our appliances. Once you become a Jenn-Air owner, you’ll receive the same dedicated attention, along with exclusive offers and benefits. Our corporate offices are located in Benton Harbor, Michigan. We have manufacturing plants in several U.S. locations. And our Jenn-Air showrooms where you can experience our appliances first hand, are located coast to coast. 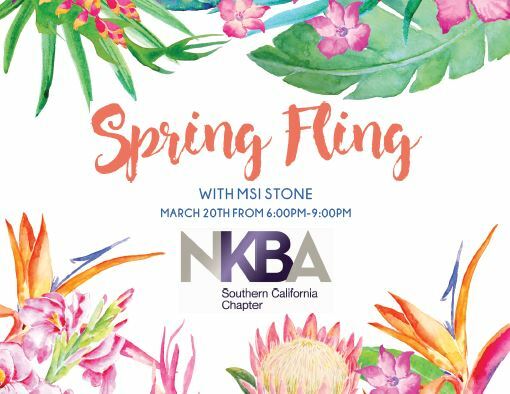 Come Join NKBA at our Spring Fling with our Friends from MSI Stone. Start the evening sipping cocktails and nibbling on tasty appetizers while mingling under the stars with colleagues and vendors in the beautifully landscaped patio, A select assortment of vendors will be featuered throughout the venue, allowing you to explore the vast showroom and their dazzling displays! Dinner will consist of tantalizing chef stations from our fabulous caterer California Fresh (you’ve tasted their bites at the Holiday Party). The night won’t be complete without exciting raffle prizes! NKBA Southern California Members are invited to participate in a Private VIP Bus Tour highlighting the Best of Modernism Week for design professionals. You and your peers from other associations will visit the showcase homes of Modernism Week and conclude your day with a poolside cocktail reception. Space is limited with only three buses leaving each day. Reserve your spot and be sure to use the NKBA-OC promo code to identify your membership. Due to extreme popularity of Modernism Week, we encourage you to book today. A portion of the fee will benefit both Modernism Week and the NKBA Southern California. Of the $75.00, $25.00 will be contributed to each of your organizations (tracked via registration) and $50.00 will be directed to Modernism Week to help preserve modernist architecture throughout the state of California. NKBA Southern California is primarily registering for Tuesday, February 20th. Join the NKBA Southern California and ASID Orange County as they come together for a joint meeting at the all new Fisher & Paykel Experience Center in Costa Mesa. You’re invited to come and enjoy an evening of exotic flavors as we explore Fisher & Paykel’s heritage with sights, sounds and smells from New Zealand. We will be the FIRST to visit their new showroom so don’t miss this exclusive sneak peak! It will be a festive evening of fun with our friends from the NKBA and ASID with great food and exciting raffle prizes. 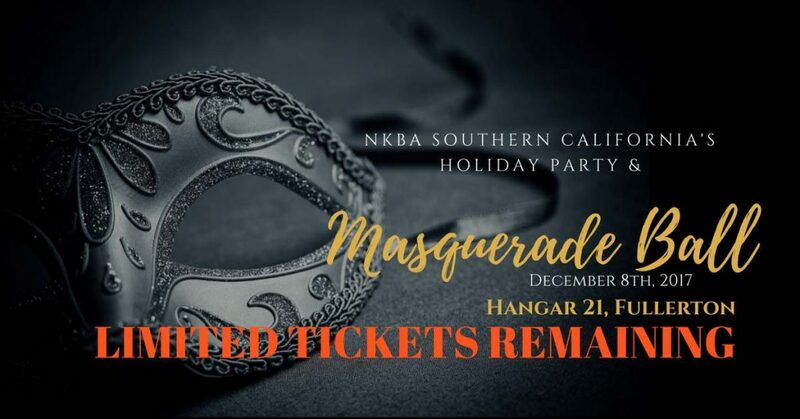 Masked in mystery and draped in decadence, the NKBA Southern California’s Masquerade Ball and Holiday Party will be nothing short of magical. Enjoy scrumptious entrees prepared by our wonderful chef’s from California Fresh Catering. The dinner will be delightful – and we haven’t forgotten those with dietary restrictions! Make sure to mark your selection if you are ‘Vegan’ or ‘Gluten Free’. And, a bit of advice for everyone, keep an eye out for the ‘late night snacks’ for our partygoers (delish!). Helicopter rides are being offered throughout the evening.